Where to stay in Hong Kong: A local's advice on the best areas to stay and the best hotels in Hong Kong for all budgets. She breaks down five different neighborhoods and the best things to do in Hong Kong. If you want to skip directly to any of the neighborhoods in Hong Kong, click on the links below. Hong Kong can be divided into three main sectors: Hong Kong Island, Kowloon, and New Territories. It can be further broken down into 18 districts, mostly for administrative and political purposes. back to top - return to the top of the page for the full list where to stay in Hong Kong by districts. Hong Kong Island is where the majority of the tourists end up spending most of their time. The northern part is the center of Hong Kong's activities and business. I picked Central and Causeway Bay on Hong Kong Island as they are the two most vibrant and popular areas. Kowloon is the peninsula that is across the Victoria Harbor from Hong Kong Island. I chose Tsim San Stui and Mong Kok from Kowloon, which has a more local influence than Hong Kong Island. New Territories encompass the rest of Hong Kong with the largest area, including the outlying islands. Shatin is chosen as the main hub of New Territories and a good place to make a base. Hong Kong is arguably one of the most lively cities in East Asia, famed for its concrete jungle status and vibrant city life. Local travel writer Nam Cheah shares the best places to stay in Hong Kong. 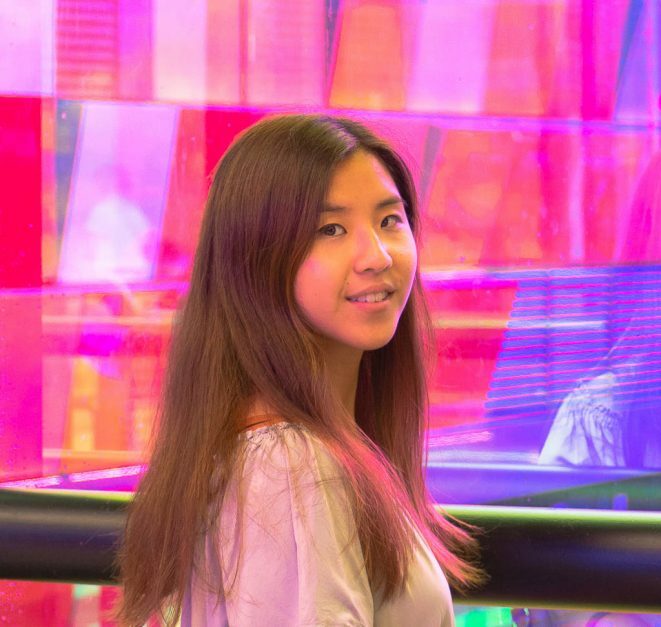 Born and raised in Hong Kong, she loves exploring the city and is eager to dish out all her tips. Having grown up in Hong Kong and received many friends visiting, it’s clear that people’s perception of Hong Kong doesn’t extend beyond skyscrapers and sidewalks. Whether you are a first time visitor or looking for something different this comprehensive guide will give you all the information you need to make the most of your Hong Kong vacation. Hong Kong is a subtropical country by the coast, which means temperature tends to be warm year-around, though we do suffer from typhoon between July to September. The best time to visit is November and December when it's less humid and hot. The only time it gets cooler is between January and February, dropping to around 5 degrees Celcius (41 degrees Fahrenheit) at its lowest, but only for about a week. Popular as a layover destination, most people only spend 3-4 days in Hong Kong but there are so much more to do and see.I often get asked about how many days you need in Hong Kong in, and my answer always shocks people: at least a week. There are so many faces to Hong Kong. Did you know that Hong Kong has hiking trails, cycling paths, and monkeys? Or birds market and flowers market? There are no other cities that I know where you can go to the beach, hike, and be back in the city for dinner or a night out like you can in Hong Kong. The best place to stay if you want to be at the center of the action is in Central. 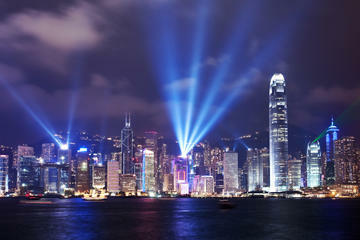 Central is not only part of Hong Kong’s bustling business district but also the heart of its nightlife. Used to be called Victoria City, it was where the British administration set up base in the 19th century and many colonial buildings can still be seen right by the Victoria Harbor. It’s the best place to stay if you are a first time visitor to Hong Kong. 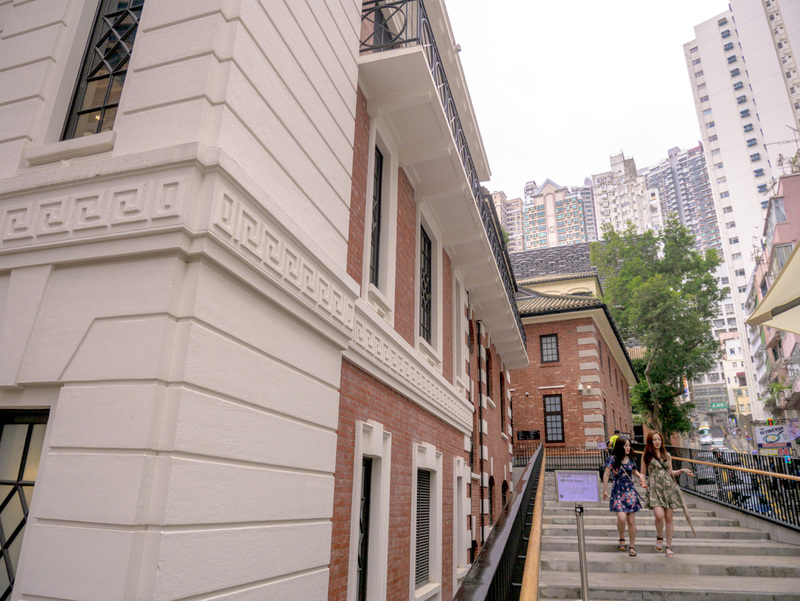 From here, the Peak is only a tram ride away or you can visit the brand new Tai Kwun, a former police headquarter turn heritage and art museum. Many British colonial historic sites such as Duddell Staircase and Pottinger Street are also within walking distance. To explore the area further, ride your way up the entire Mid Level Escalator to see SoHo and its street art. With a stunning view of the Victoria Harbour, conveniently connected to the Landmark Mall and the Central MTR station via a series of indoor walkways. Stay by the historic Pottinger Street that’s a street west of the Mid Level Escalator. Close to restaurants, transportation and ferries. Located between Central and Sheung Wan, Sleeep is a great budget capsule hotel choice. Pick up your Lonely Planet Travel Guide to Hong Kong. Belking Mini Surge Protector - Charge all your electronics at once with 3 plugs and 2 USB adapters with surge protection. Eagle Creek Plug Adapter - This all in one adapter is all your need for Paris and other European and world travels. Mid Level Escalator - built in the 90s, the Mid Level Escalator was originally meant as a way for commuters to go from Central to Mid-Levels, the residential area. Nowadays, it’s a fun covered escalator ride for tourists to explore SoHo. Hong Kong Park - covering 80 000m2 of ground, Hong Kong Park is a refuge from the skyscrapers and a great photo spot. There’s also an aviary and wedding registry. Lan Kwai Fong - the nightlife hotspot in Hong Kong, there are a plethora of clubs and bars to choose from no matter your preference. Man Mo Temple - Popular tourist attraction located on Hollywood Road. Guided Dim Sum Lunch: if you are new to dim sum, it’s easiest to have a guide! 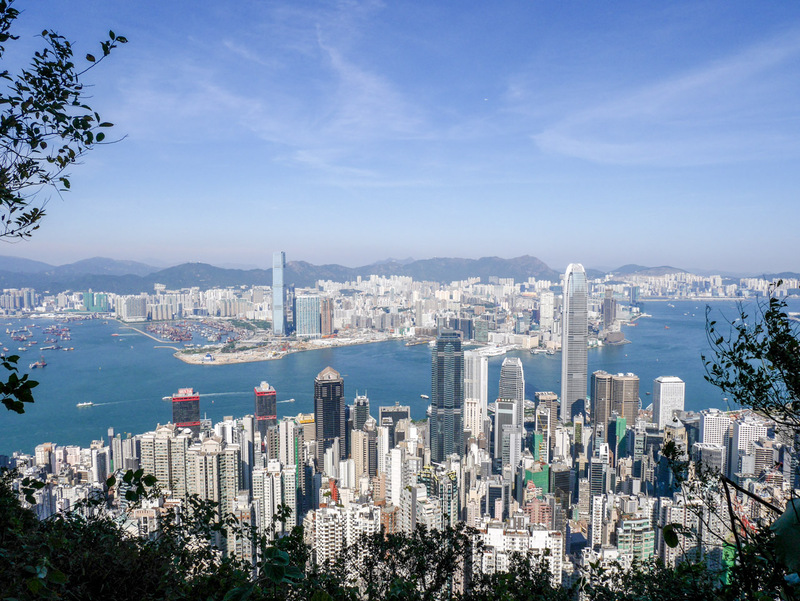 Skip the Line Victoria Peak – Victoria Peak is Hong Kong's busiest attraction, avoid waiting in line with VIP tickets. Includes Sky Terrace entry. Even Harbor Junk Boat Cruise – Hong Kong Harbor was once littered with Junk Boats. 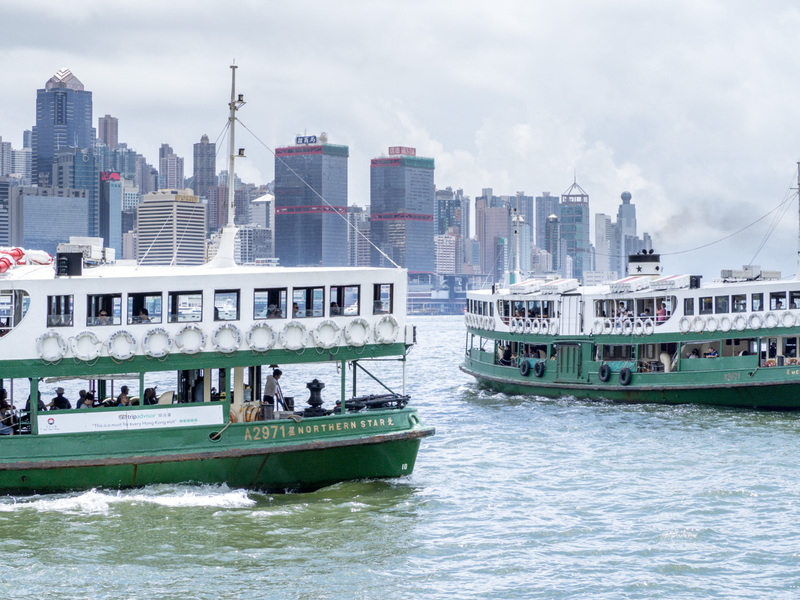 Enjoy a glass of wine on this classic boat as you take in Hong Kong's Magnificent skyline. Airport Express Transfer – Take the hassle out of your airport transfer and hop on the high-speed airport express train to downtown for only $12. For the Peak, take the tram or MTR to Wanchai and get the Peak Tram or take a bus. Everything else is walkable around Central. From Central, you can get on the MTR to go everywhere in Hong Kong or explore the north of Hong Kong with the oldest double-decker tram system. The fashion capital of Hong Kong, Causeway Bay is the modern hub that’s infused with old Tong Lau and traditions. Outranking the New York’s Fifth Avenue in terms of expensive shopping, you can also find a Time Square here among the many other malls. Causeway Bay was once a small fishing village and the area is best known for its Tin Hau Temple, dedicated to the sea goddess Tin Hau built by the fishermen. Another culture heritage is the age-old tradition of villain hitting at Ngo Keng Kiu, fun for both participants or spectators. If none of those strikes your fancy, there is the Victoria Park, the largest public park in Hong Kong. A quaint small luxury hotel, Lanson Place is excellently located in the backstreets of Causeway Bay. With all 55 rooms facing the Victoria Harbor, you are guaranteed the best view in the house no matter what. Close to the big shopping malls, Butterfly on Morrison offers modern, sophisticated rooms. Victoria Park - with over 190,000m2 of ground, Victoria Park was built on landfill to house the statue of Queen Victoria during the colonial times. Now, it is home to numerous sports facilities and houses the biggest lunar market yearly. Tin Hau Temple - built in 1747 by the local fishermen, the temple is now nestled in a quite park area. Don’t miss the red incense burner that gives the area its name. Symphony of Lights Harbour Cruise with Drinks – Seeing the Symphony of lights from the water is magical. This 1.5 hour cruise sails along the Hong Kong harbour while the spectacular symphony of lights display plays in front of you. Plus you get unlimited drinks! Hong Kong After Dark Tour – Sometimes you just want to go out late at night, but feel a little insecure doing it alone. So join the Hong Kong After Dark tour to visit the night markets, parks, neighbourhoods and Peninsula Hotel and the Chung King Mansion. Then top it off at one of Hong Kongs popular bars. Most of the attractions are clustered around the Causeway Bay MTR station, with numerous exits that will take you to the attraction of choice quickly. If you are coming from Central, a tram ride is a great way to see the city. Often refer to TST, Tsim Sha Tsui means the ‘pointy sand mouth’ which refers to its geography position. 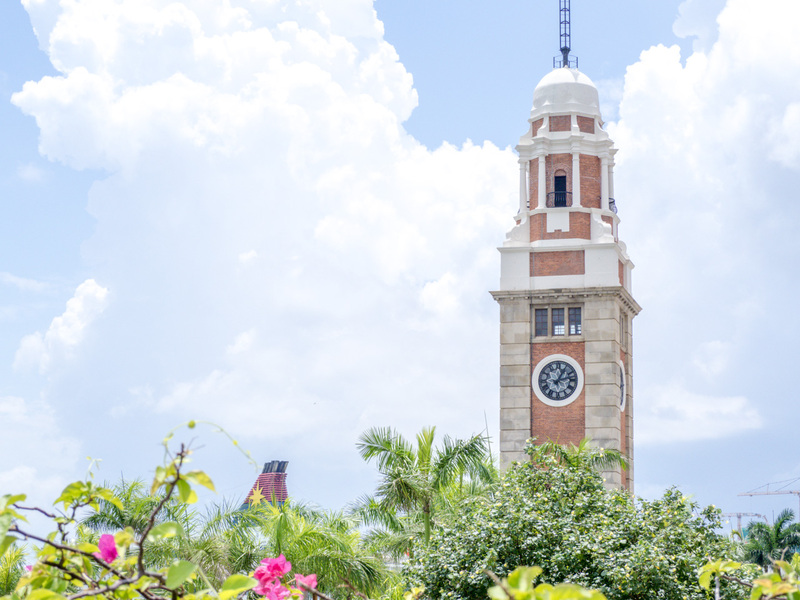 An alternative to Central, Tsim Sha Tsui is most famous for its Clocktower and Star Ferry Pier where you can hop on the ferry to Central. You can also find great shopping in the area as well as world-class hotels and restaurants, with the addition of tailors and museums thrown into the mix. Tsim Sha Tsui is also home to many nationalities, with a big Indian and Nepalese population that congregates around the Chungking Mansion famed for its Indian food, cheap accommodation, and numerous money changers. The largest mosque in Hong Kong is also located on the major thoroughfare Nathan Road, right next to one of the exits. Of course, Tsim Sha Tsui also has a park of its own. The Kowloon Park was built to replace the barracks and houses a swimming pool and small amphitheater. The Peninsula is one of the finest hotels in the Far East known as the “Grande Dame of the Far East” and turning 90 this year. An alternative to Peninsula, Sheraton is close to both the MTR and Star Ferry pier. While less central then above, Hotel Panorama still offers a spectacular view for a good value. Star Ferry Pier and Clocktower - the clocktower is all that remains of the old Kowloon Train Station in the area and a prominent landmark in front of the pier. Promenade and Avenue of Star - one of the best places to view Victoria Harbor, there is a promenade that extends from the Star Ferry Pier all the way to Hung Homg Rail Station. The Avenue of Star (similar to the one in LA) is currently located in a park along the way for those interested to see the handprint of famous stars such as Bruce Lee. Kowloon Masjid and Islamic Centre - built at the end of the 19th century, the Kowloon Masjid and Islamic Centre is the largest mosque in Hong Kong located on Nathan Road. 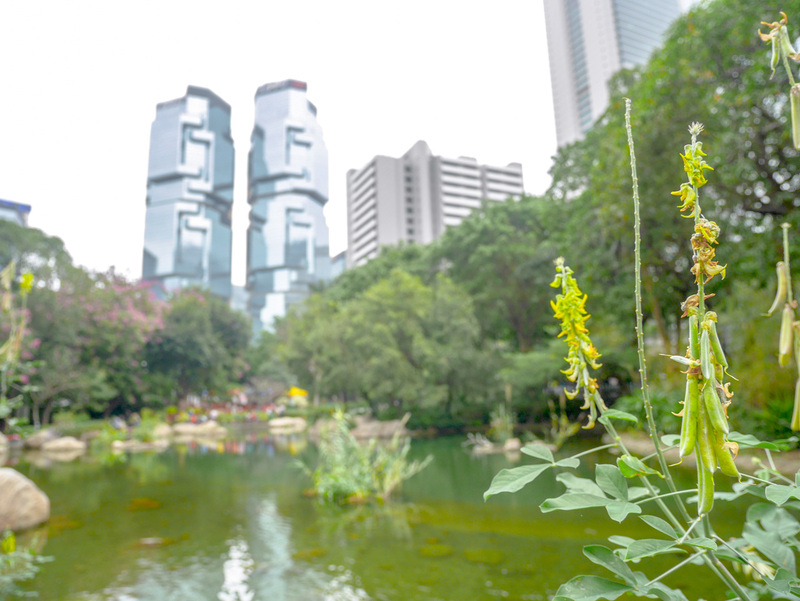 Kowloon Park - a former barrack, Kowloon Park is home to a beautiful bird pool, garden, and a great public swimming pool. Hong Kong Disneyland – Who loves Disneyland. Check out this surreal experience. If you've ever been to Disneyland or Disneyworld in the States, you gotta go in Hong Kong to compare the two. 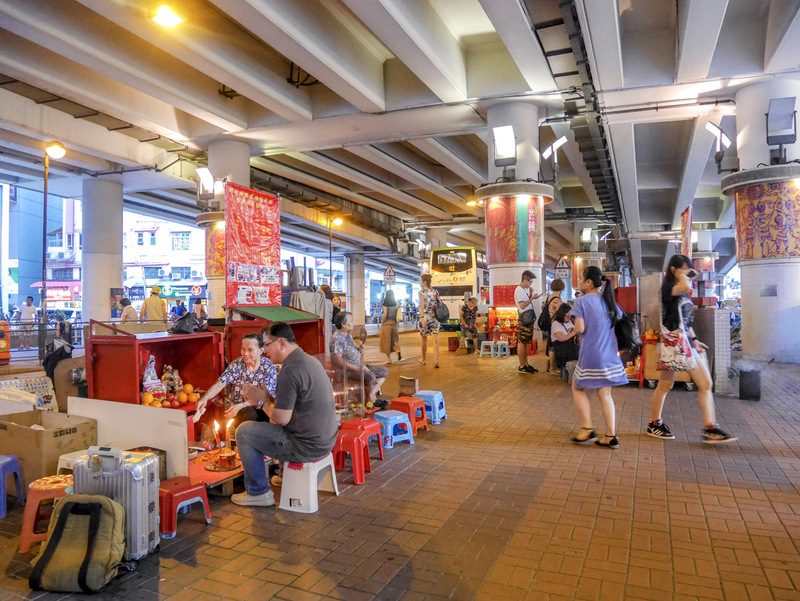 Kowloon Guided Market Tour – Kowloon is a bustling district and this tour takes you through the back streets to explore its markets and landmarks. 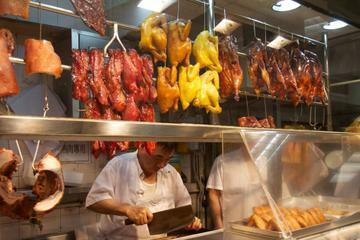 Street Food Tour – Hong Kong is known for its street food. Get to know the best food stalls, learn about Hong Kong Cuisine and get local insider tips. Duration: 2 hours. 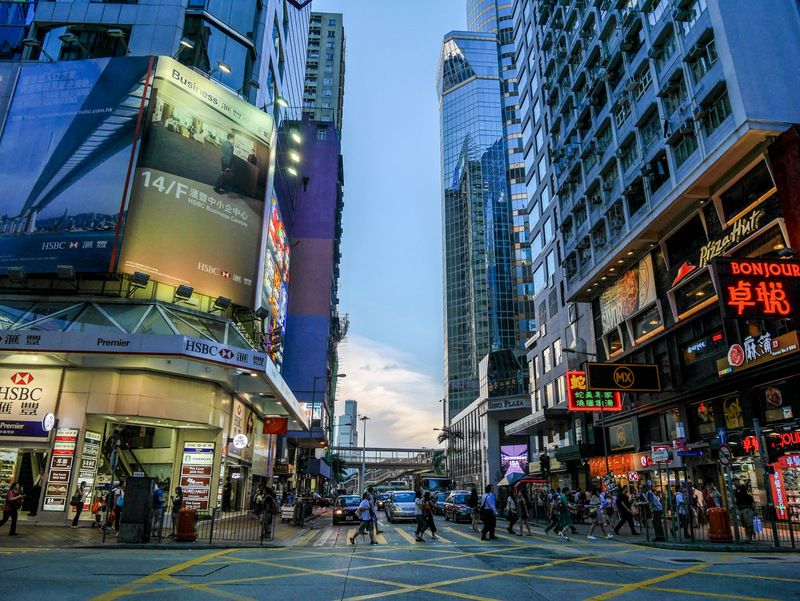 Tsim Sha Tsui MTR and West Rail station are well connected with exits conveniently leading to most attractions. It’s easy to get confused above ground for first-time visitors so going down the underground walkways and finding the right exit to emerge from is an easier way to get around. The area is also well connected by buses that goes to the rest of Hong Kong. The heart of Kowloon, Mong Kok in Chinese means a ‘popular corner’. Known for its crowded streets, it’s the place to be for those who love street food and local shops. I practically spent my entire childhood there, roaming the markets and streets where you can buy everything you need. For shopping, it's best to head to Ladies Market to sass out the latest trend, though I personally prefer the Argyle Center and Fa Yuen Street for the more affordable fashion. 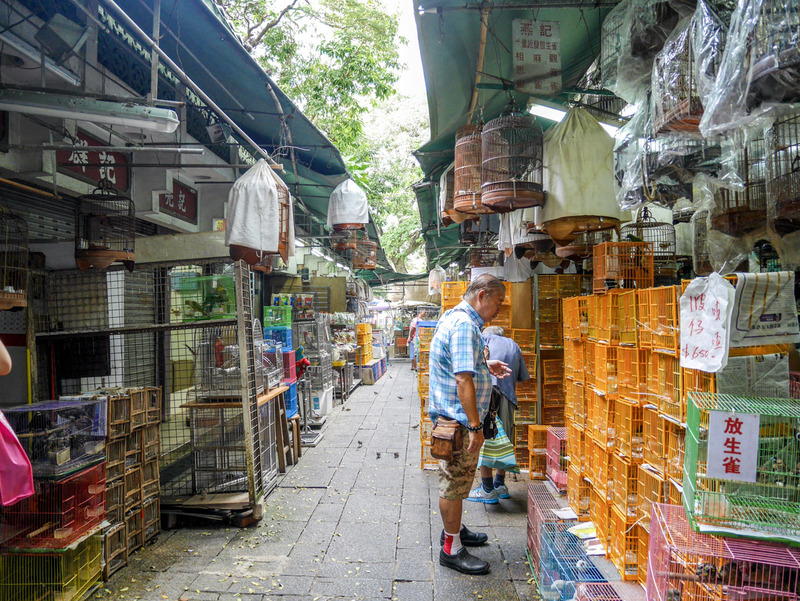 For something a bit different, there are the Flower Market, Gold Fish Market, and Birds Market, it’s a colorful district that is best explored on foot. 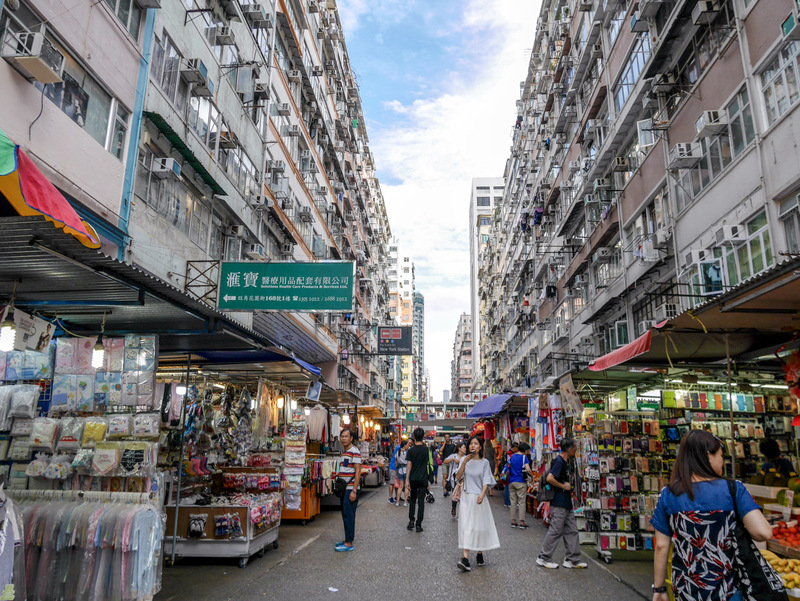 The shopping in Mong Kok is less high end than Causeway Bay, and the area is often portrayed as the triad’s territories with mahjong places and massage parlors. Nowadays, it’s popular for youngsters with a new street food or bubble tea places opening every week. Stay right by Langham Place and the MTR station at the most stylish hotel in the area with a rooftop pool. Also boasting a nice rooftop pool, the Hilton Garden Inn is a little further out but also a little quieter. Closer to the Yau Ma Tei side, Hotel 108 is a modern and minimalistic choice. Great for the budget minded traveler. Hong Kong Mong Kok Markets - Immerse in the culture of one of Hong Kong's most densely packed neighborhoods. Join your guide and explore the jam-packed market while immersing with locals. Photography Tour - Join a local professional photographer as they take you through the markets to the skyscrapers of this megatropolis. Choose from a three or six-hour, private tour. Day Trip to Macau - Once you are done exploring Hong Kong take a day trip to Macau by catamaran or jetfoil. Drive along the Guia Circuit, See the Macau Tower and visit the Macau Casino. Everything is walkable around Mong Kok, though if you are prone to getting lost, head back down to the MTR and find the corresponding exit of Mong Kok MTR Station. Be sure not to confuse it with the Mong Kong East Rast Rail Station. A satellite town built in the 70s, it’s a gateway to the rest of New Territories via bus or railway. With hidden temples and monasteries, most notably the Ten Thousand Buddha Monastery only 20 minutes’ walk away and the Che Kung Temple. 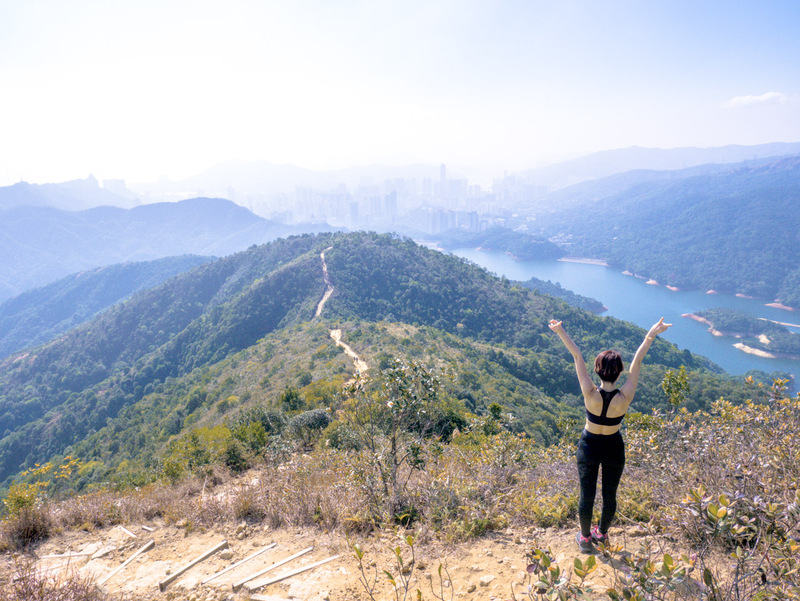 It is also close to nature with mountains nearby, with many hikes that offer a great vista, such as the Needle Hill that extends east to the Shing Mun Reservoir. There is also the Shing Mun River which runs along the city with a cycling path, popular for rowers and cyclists. While not in the Shatin town center, the Hyatt is right by the University East Rail Station. The first 4 star hotel in Hong Kong, the Royal Park Hotel is right by the Shatin Town Center. 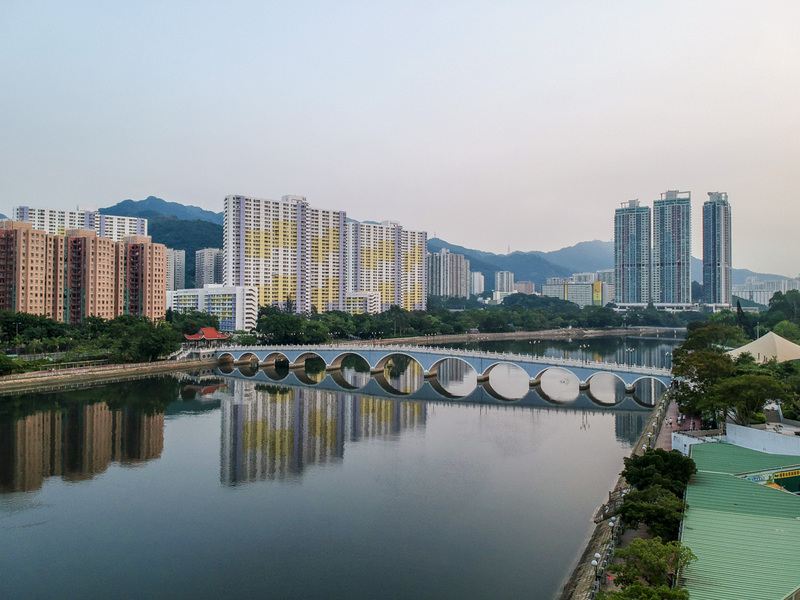 Across the Shing Mun River from the Shatin Town Center, Regal Hotel has a full view of Shing Mun River. Needle Hill hike - while not the easiest trek, Needle Hill ends right by the Shatin rail station. It is part of the MacLehose Trail stage 8, going past the Shing Mun Reservoir. Che Kung Temple - the temple to be during Chinese New Year, Che Kung Temple is dedicated to the Song dynasty general Che Kung. Built in the late 17th century, it’s customary to spin the windmills for good fortune. Great Buddha Walk and Skip the Line - Take the Nong Ping Cable Car to the Big Buddha where you skip the boarding queue and have a special ticket redemption line. Lantau Island and Cable Car – This is a very cool tour and you must get out of downtown Hong Kong at least once. 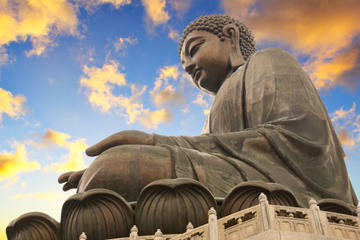 Visit the Tian Tan Big Buddha statue at Po Lin Monastery. Then travel by boat to see Tai O, a quaint fishing village where the houses are built on stilts. Take the East Rail line to Shatin Station and everything is within a short walk. For Ten Thousand Buddha Monastery, head to the Shatin Transport Department and head up the walking path behind it. For Che Kung Temple, take the East Rail to Tai Wai, change to the Ma On Shan Line and ride one station to the Che Kung Temple Station. While I am partial to the city, I hope you agree that there is something for everyone in Hong Kong, no matter what kind of holiday you are looking for. Even as a local, I often find myself feeling in awe when I watch the Victoria Harbor or along the streets of SoHo. And I can't resist going to Mong Kok at least once a week to get my fix of street food and roam the colourful Flower and Birds Market. If the weather isn't hot, a hike up for exercise and a good view is a most, and the beach if it is too hot! So start planning your trip to Hong Kong and get ready to be blown away! Get an Octopus Card - the transport card in Hong Kong can be purchased for 50 hkd plus credits at any MTR (Mass Transport Rail) or Rail station. It can be used for all public transport options as well as a lot of shops. So top it up with 200 hkd and you can return it at the end of your trip. (Note: a fee of ~10 hkd is charged if you return within 3 months, there is also tourist Octopus available). Download the MTR and KMB app - the former is an app used for navigating the MTR in Hong Kong, the latter shows to bus schedules in Kowloon and New Territories area. Avoid rush hours if possible - the rush hours in Hong Kong starts from 7:30 - 9 and from 5:30 - 7:00 pm and it's extremely crowded ion the MTR, especially around Admiralty. Avoid if possible. Plan your shopping or street food visits after 11, if not 12 - a lot of small, local own places don't open until after 12, while malls tend to open around 10-11am. Nam Cheah is a third culture millennial spent half her life in Hong Kong and the other half in the UK. With a passion for travel, hikes, food, and puns, she documents her travel on her suitably named blog: Laugh, Travel, Eat. 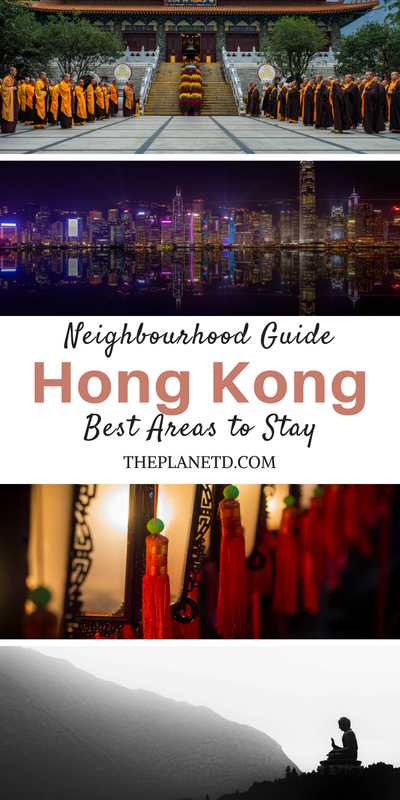 10 Responses to "Where to Stay in Hong Kong – A Local’s Guide to the Best Places and Accommodation"
wow wonderful designed. Thanks for sharing your great post. Firstly, love the design of your website. And your blog posts are wonderful. Love how you provide detailed information about the location, places to visit and stay. Amazing. Hongkong has always been in my bucketlist. such great informationThanks for sharing!! Hi Nam! I love how many different things there are to see in Hong Kong and all the different areas you can go. Having been to Hong Kong once before, I agree that you need at least a week to really be able to see how amazing it really is. The more time spent, the better! There are so many things to do there and can’t wait to go back! Thanks for the great article! Nice images and pictures.Thank you sharing the wonderful information. 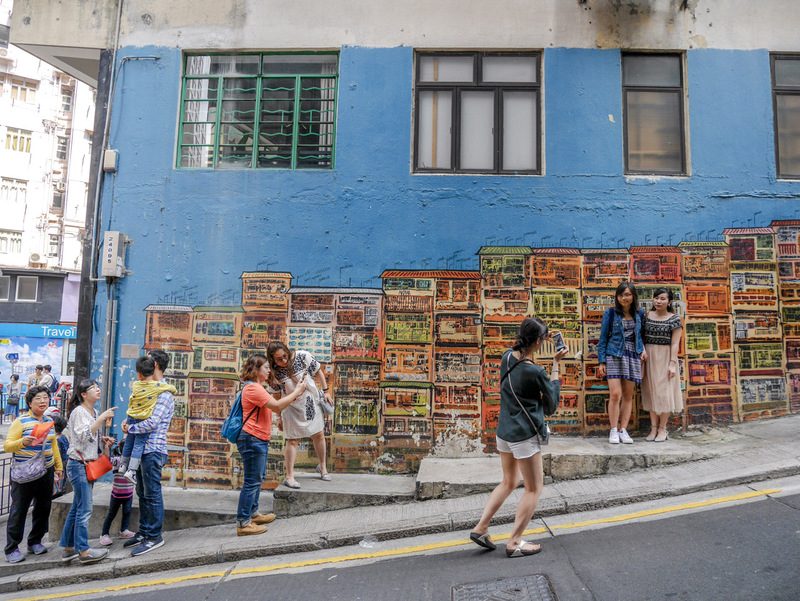 One neighborhood in HK that I absolutely love for the food and shopping is Sheung Wan. It’s absolutely fabulous to explore. Lots of little independent stores and Michelin starred restaurants!